I couldn’t be more excited to announce this! As you know I’ve been working on E Major is… Better Than Yours for some time and we’re finally getting ready to release it. 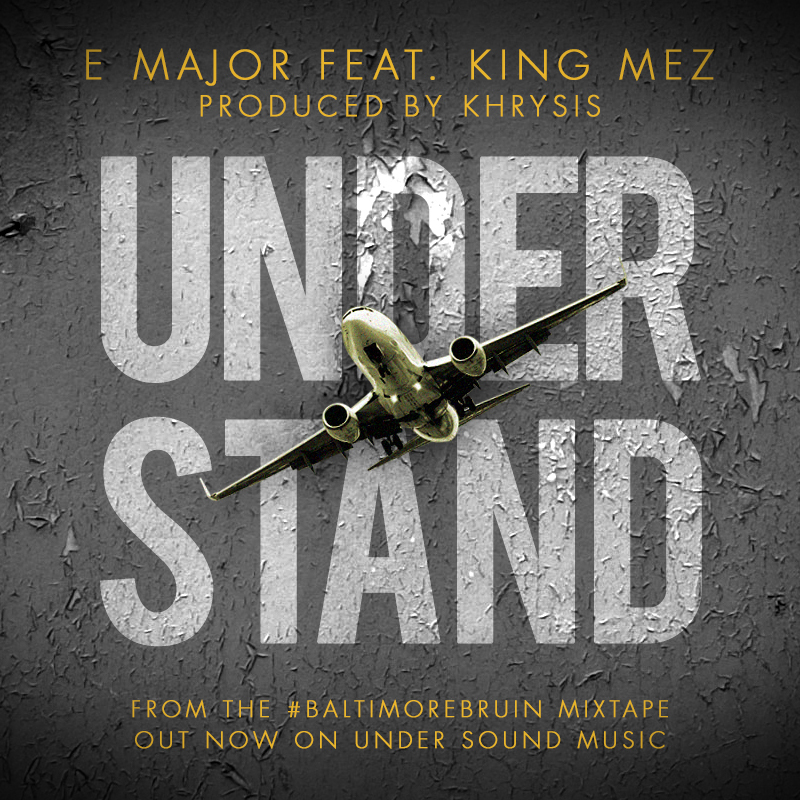 And you probably already know that our homie King Mez has been having amazing success recently thanks to his Stussy affiliation and his amazing collab with Khrysis on the King’s Khrysis EP. So we to celebrate to and to let all of our fans know they’re appreciated, we’ve teamed up with our good friends at Pedx Baltimore and Flying Dog Beer to bring you a listening party/ happy hour for FREE.99!!! 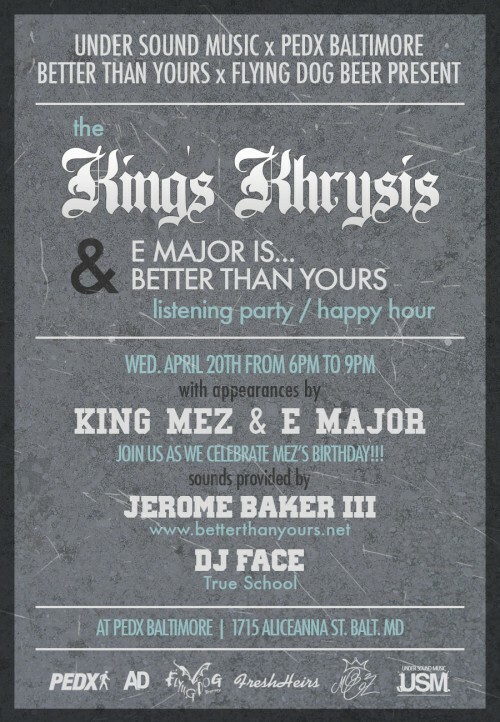 Of course our homeboy Jerome Baker III will be there DJing as his site www.betterthanyours.net is the reason that the E Major is… Better Than Yours exists and has such a boastful title. Also, DJ Face aka Sean Armstrong will be in the house spinning as well. Oh yeah, we’re celebrating Mez’s birthday too so you know it’s gonna be live! So please stop by, have a listen to Mez’s project, my project and enjoy some free beer! Could you ask for a better happy hour! ?